What an expert says about the messages revealed in the court yesterday. Few weren't touched by the messages Reeva wrote to Oscar telling him he scared her. But Cape Town Counselling psychologist Vicky Fabricius says the content of the messages read out in court this week outlining a disagreement between Oscar and Reeva approximately two weeks before her death does not necessarily imply it was an emotionally abusive relationship. 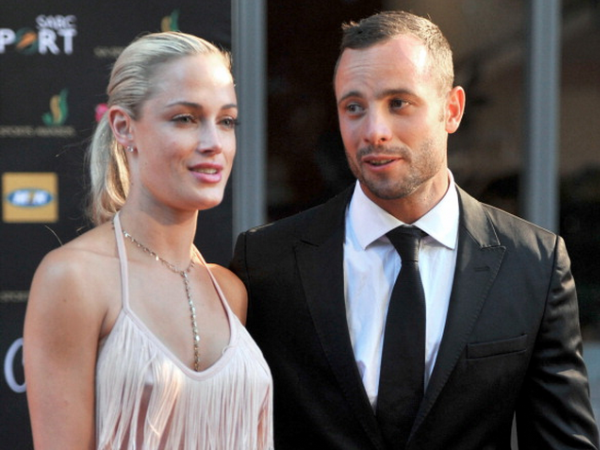 “For me it’s not enough evidence to conclude that the relationship can be described as emotionally abusive, although the behaviour described is certainly not emotionally healthy.” Oscar and Reeva at the outset of their relationship on November 4, 2012 during the Feather Awards held at Melrose Arch in Johannesburg.Fabricious says rather it reveals a lot about where the couple were in their relationship and perhaps what kind of difficulties might have popped up later on. “For me the messages are reflective of the early stages of a relationship where insecurity is often high. The couple had only been together a couple of months so their commitment to one another was in its infancy stages. “Certainly Reeva's version of the difficulties in the relationship seems to suggest Oscar is insecure and also that he battles to contain these insecurities, often erupting in public or saying things he later regrets. Both versions suggest he battles to control his emotions. “The fact that Reeva is able to speak her mind about Oscar’s behaviour indicates that she feels comfortable to do so. She is not sugarcoating what she is feeling. “His version takes some responsibility for his behaviour being out of line and he explains it by saying he has not been in the right head space to treat her appropriately. He seems to feel in some way that her behaviour contributes to his actions. He seems committed to wanting to make it right and sort through their differences. Controlling behaviour, such as isolating you from family and friends and always seeming to have a problem with someone you like or respect. Putting ones partner down verbally. Being afraid to talk openly about your feelings in the relationship. If you think you might be in an abusive relationship, you can call Lifeline’s Gender Violence Toll Free helpline at 0800-150-150.